Home » giveaway » 1910s Camisole Giveaway! And Sew-A-Long! 1910s Camisole Giveaway! And Sew-A-Long! Hurrah! I’ve teamed up with Romantic Recollections for her latest Sew-A-Long! 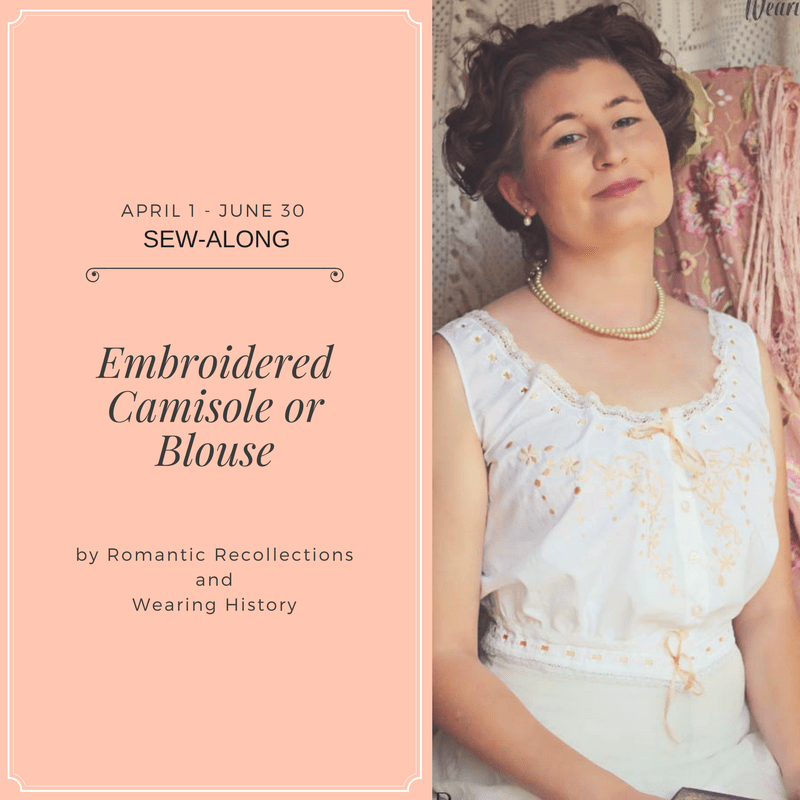 If you’re in need of a pretty blouse for spring and summer, or if you want to get started on your period undergarment for the 1910s, this is a great chance for you! And because we love you, Denise and I are having a giveaway! You can enter to win the machine embroidery and sewing pattern combo. She designed the embroidery specifically for this pattern. Don’t have an embroidery machine? Never fear! She also has hand embroidery patterns! The Sew-A-Long runs April 1-June 30th. To participate in the Sew-A-Long you can go join the Romantic Recollections Facebook Group here. If you want to buy the sewing pattern, I have it at 20% off right now for sew-a-long participants. You can find the printed pattern here and the e-pattern here. 1 Comment on 1910s Camisole Giveaway! And Sew-A-Long! I kinda accidentally closed the blog post I was supposed to comment on before I commented… To answer the question, I’m thinking a blue of some sort. But, since I accidentally closed it too soon, I might like that color of green.